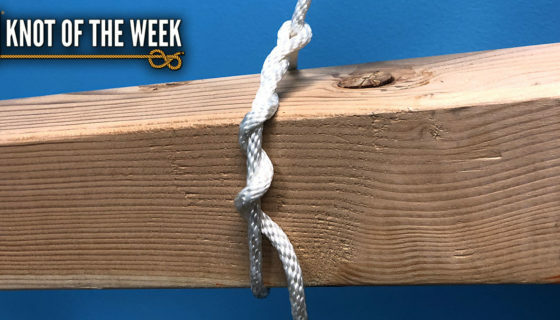 On this week’s Knot of the Week, we’re going to look at an interesting knot called the Poldo Tackle. Using two simple fixed loops, the Poldo Tackle affords you multiple options for anything that requires a tensioning device. The most applicable use we’ve considered is in a rescue situation, where you might need the mechanical advantage to lift a buddy to safety. There are far better methods to lower someone in a rescue situation, but the Poldo Tackle would work well to aid in lifting. Just remember that it’s not the same type of application for lifting that pulleys would provide. 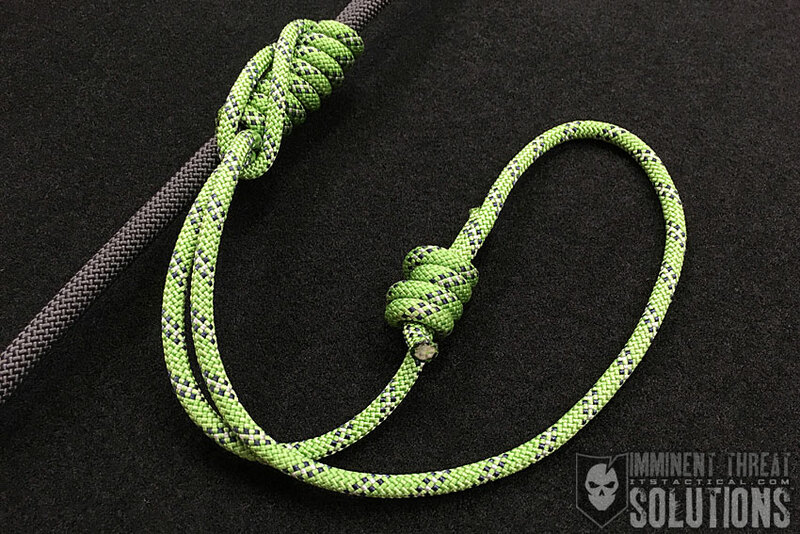 You could also use this knot for a clothesline, guyline or anywhere you may need to release or provide tension periodically to a line under load. By far the coolest feature of the Poldo Tackle is it’s ability to quickly adjust. By simply moving the two fixed loops towards each other the knot will loosen, while pulling them apart will create tension again. An important note on the Poldo Tackle is to ensure you’re using it with static loads, the shift in a dynamic load could cause this knot to release suddenly and without warning. As you can see by the photos, what makes the knot work is simply the s-curve. If that’s lost under the shift of a dynamic load, the loops will fall together releasing the tension. Start with a length of rope or paracord (depending on the load) that’s at least three times the length of the movement needed in your tackle. 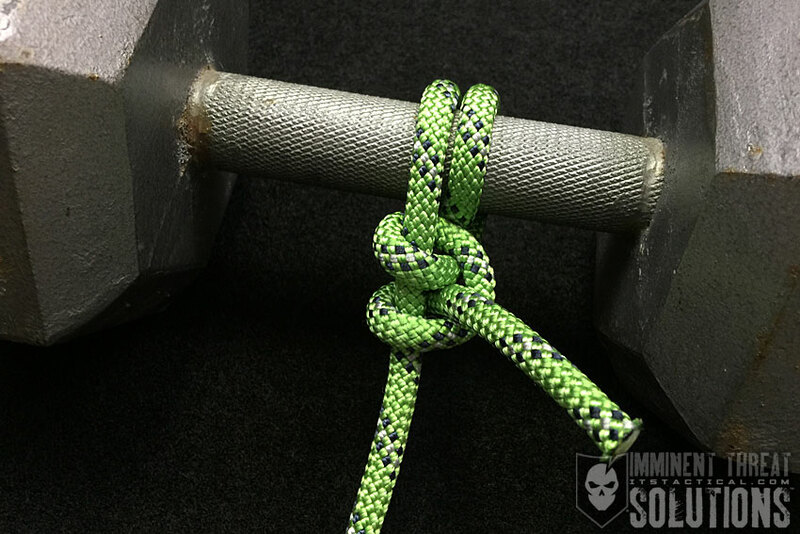 With one end, tie a fixed loop using a Bowline or other knot that creates a fixed loop. 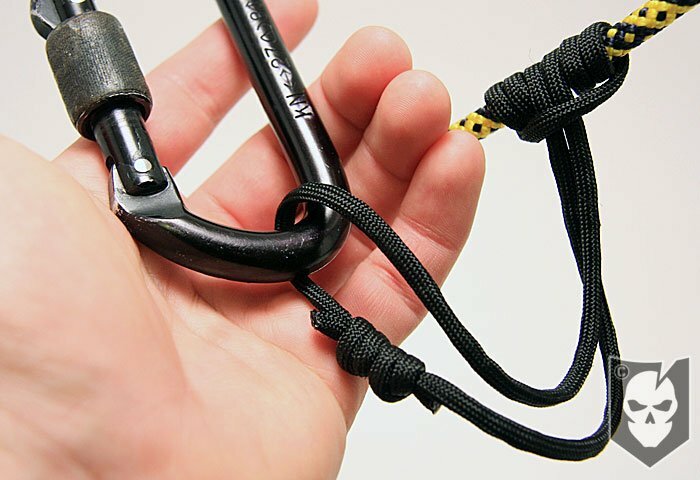 Toss the opposite end, now the working end, around another fixed loop anchor point such as a carabiner. Thread your working end through the standing bowline. Create an “S” curve as demonstrated in the photos. While holding the “S” curve, wrap the working end around your static load or desired object. 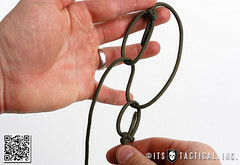 Tie a second Bowline or fixed loop around the bottom bight of the “S” curve. To operate the Poldo Tackle, simply move the two fixed loops towards each other to loosen. Pull them apart to create tension again.